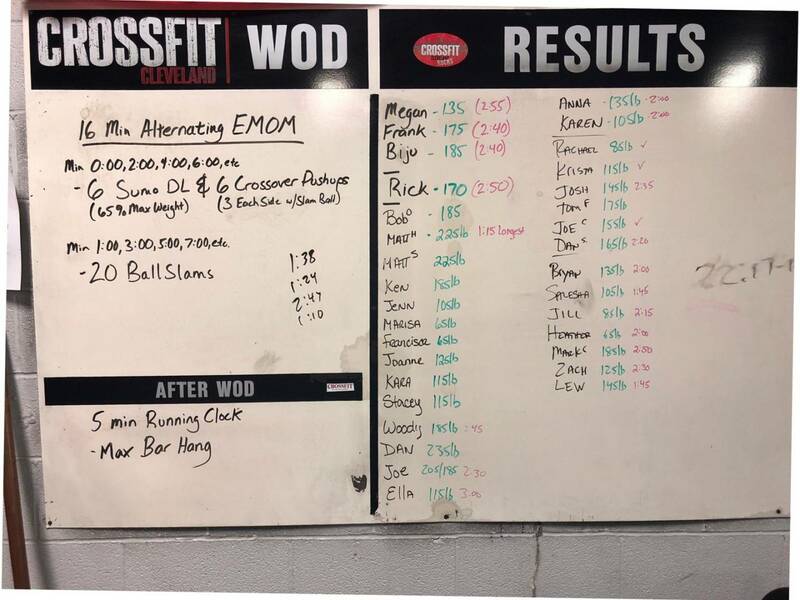 Alternating EMOM for 16 minutes, with heavy sumo deadlifts @65% of 1RM and ? Fairly heavy lifting with a fairly high heart rate. Be there.